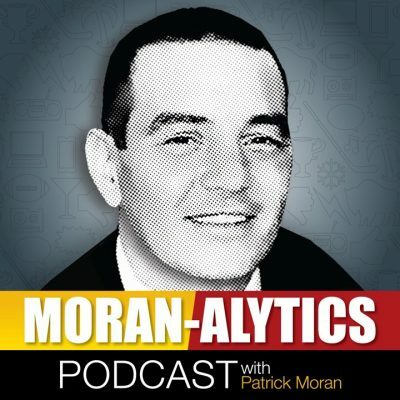 This debut episode of the Moran-Alytics Podcast has Patrick Moran interviewing WGR-550 radio host and Buffalo Bills beat reporter Sal Capaccio (7:40). They discuss Sal’s upbringing in Buffalo and his obsession with sports from a young age, why he chose to go to Syracuse for college, his move to Florida in the mid-1990s, what led to his return to Buffalo and a work journey that went from WGR part time, on-air talent to ultimately one of the most respected NFL reporters in the business . They also discuss personal relationships among the media, why “tanking” can have several negative ramifications on a franchise and that magical New Year’s Eve when the Bills finally ended a 17-year playoff drought. Lastly, the podcast winds down with weekly hardware for MVP (Chris Rock) and LVP (Fox News’ Laura Ingraham) as well as the first edition of Terrible Tweets.